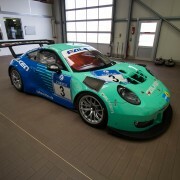 Following much success in the past five years, Falken Motorsports is retiring its Falken Porsche 911 GT3 R (type 997). 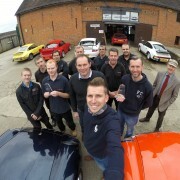 The iconic turquoise and blue race car is now up for sale on mobile.de, making a very special Christmas present for any race team. The Falken team has been competing with the Porsche 911 GT3 R since 2010, with this particular chassis being used since April 2014. 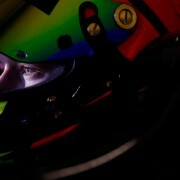 In that time its career highlight has been achieving a much-coveted podium finish in the 2015 ADAC Zurich 24 Hour Race at the Nürburgring, Germany. 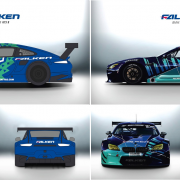 Falken drivers Wolf Henzler, Peter Dumbreck, Martin Ragginger and Alexandre Imperatori battled against tough competition for third place, a further improvement on its impressive top four finish the previous year. 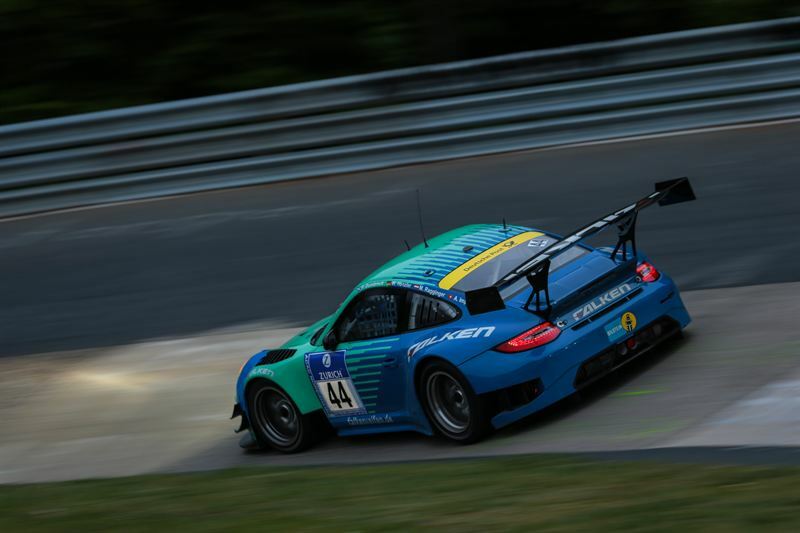 As well as the notoriously challenging Nürburgring 24 Hours, the car has also competed in the VLN Endurance Racing Championship, honing its craft around the iconic German circuit where it has clocked up over 84 hours of race time since April 2014. 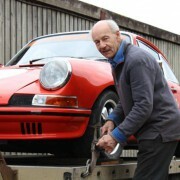 The race car has been shod with almost 900 tyres each season, with the slick, rain or intermediate Falken tyres lasting around eight laps of the acclaimed and demanding 25,378m Nürburgring circuit. Each track session acts as a tyre test, with Japanese tyre engineers present trackside to analyse data and obtain feedback from the drivers, with all of this information feeding back into the series production tyre development process. 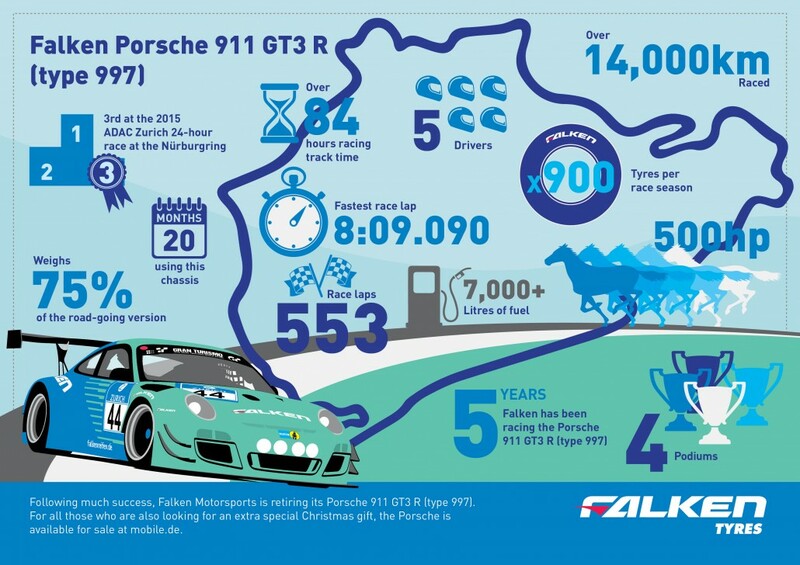 Now for sale on mobile.de, the Falken Porsche will make one of its last appearances with Falken Tyre at the Essen Motor Show on 27 November to 4 December 2015.